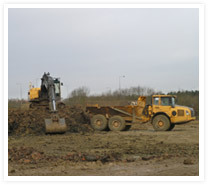 Click Here to visit our skip hire & waste management website. 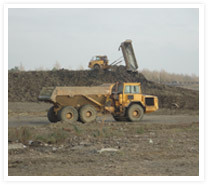 Please feel free to get in contact with us by following the link to our contact us page. 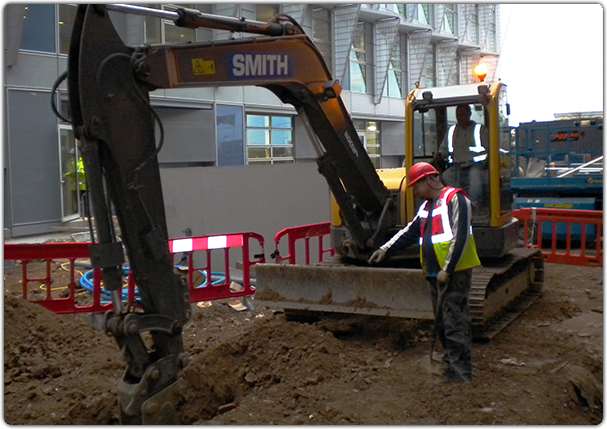 We will aim to get back to you within 24 hours. 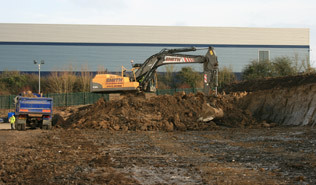 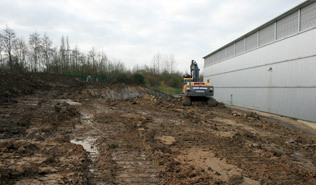 Work under way to the extension to the Delico Distribution Centre, off V2 Snelshall Street, Milton Keynes . 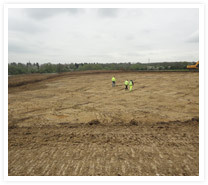 Following our successful completion of Phase I with Lodge Park we continue high standards to complete works to Phase II comprising bulk earthworks, construct a Pre-cast concrete retaining wall, to pad and strip foundations, develop external yard, block car parking and drainage works. 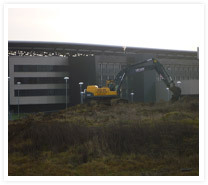 Commencing January 2013 expected to complete in six months. 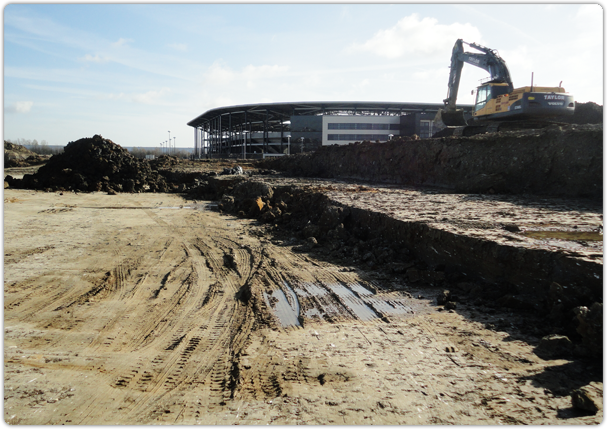 Client: Lodge Park Construction Ltd.
Works to new shopping facility at the MK Stadium - spoil in excess of 30,000m excavated and transported for development of the Brooklands Noise Attenuation Ridge, Brooklands, Milton Keynes. 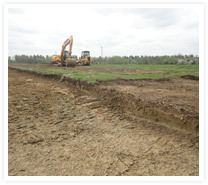 Due to the Western expansion in Milton Keynes Smith Construction undertake the topsoil strip for a large archaeological dig site which has unearthed some very interesting and historical finds.